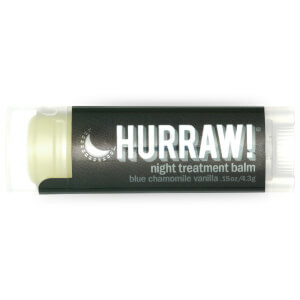 Pamper dry lips with the Hurraw! 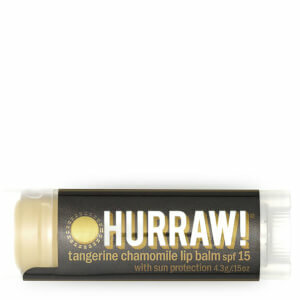 Unscented Lip Balm; an ultra-hydrating formula that cares for skin using premium organic, vegan and raw ingredients. Effortlessly gliding over lips due to its rich and creamy texture, the mild lip balm delivers instant and long-lasting hydration. The twist-up balm is enriched with Cold Pressed Meadowfoam Seed Oil, which envelops the lips in essential moisture, whilst a healthy dose of Vitamin E provides antioxidant properties to shield lips from free radicals. Arriving unscented, the hydrator focuses solely on treating lips, leaving the pout unbeatably soft and smooth. Merk: Vår uparfymerte balm har en mild og naturlig duft – alle ingrediensene våre er kaldpresset og ufiltrert. *Limnanthes Alba (Meadowfoam) Seed Oil, *Cocos Nucifera (Coconut) Oil, Àeuphorbia Cerifera (Candelilla) Wax, *Theobroma Cacao (Cocoa) Seed Butter, *Carthamus Tinctorius (Safflower) Seed Oil, *Ricinus Communis (Castor) Seed Oil, Tocopherol (Vitamin E). *Organic & Cold Pressed.